Eternal God, Creator of all things, remember that You alone has created the souls of unbelievers, which You have made according to Your image and likeness. Behold, O Lord, how to Your dishonor many of them are falling into hell. Remember, O Lord, Your Son, Jesus Christ, Who so generously shed His blood and suffered for them. Do not permit that Your Son, Our Lord, remain unknown by unbelievers, but, with the help of Your saints and the Church, the Bride of Your Son, remember Your mercy, forget their idolatry and infidelity, and make them know Him, Who You have sent, Jesus Christ, Your Son, our Lord, Who is our Salvation, our Life and our Resurrection, through Whom we have been saved and redeemed, and to Whom is due glory forever. Amen. 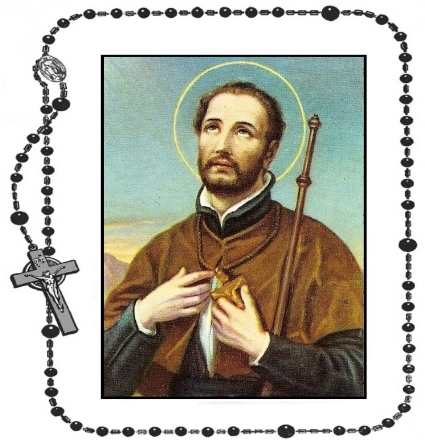 Lord God, by the preaching of Saint Francis Xavier, You brought many nations to Yourself. Give his zeal for the faith to all who believe in You, that Your Church may rejoice in continued growth throughout the world. May this prayer fill us with the same love that inspired Saint Xavier to work for the salvation of all. Help us to live our Christian calling and to inherit the promise of enteral life. We ask this in the name of Jesus the Lord. Amen.